I thought I would post this before I forgot about it. Yesterday I went to the local drug store here to get my monthly supply of diabetes medications. I have to take Metfomina and Glibenclanida daily to control my glucose levels in my blood. I usually go to the Simalares drug stores because they have generic drugs, and are cheaper than the other drug stores here in Mexico. On Mondays they have 25% off on all medications, so I go on Mondays to take advantage of that. 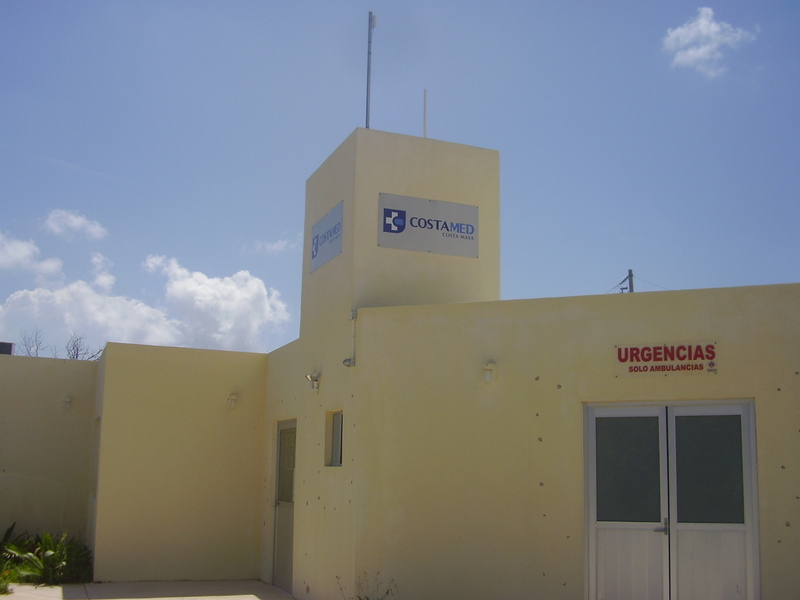 There are Simalares drug stores all over Quintana Roo, and I have used them in Chetumal and here in Playa del Carmen, and they are everywhere here in Quintana Roo. So I was standing there yesterday waiting on the girl at the drug store to get my medications, and I looked over and I saw that there is also a doctor available there for consultation, and I noticed the cost for a doctor’s visit was 35 pesos,(about $2.69 usd). So I got to thinking, I wonder what the difference between the cost of having diabetes in Mexico was opposed to the USA. My diabetes medications I bought at the drug store yesterday cost me 80 pesos ( about $6.15 usd) for the month. And since I do not have to have a prescription, I do not need a doctor’s visit to get my diabetes meds. 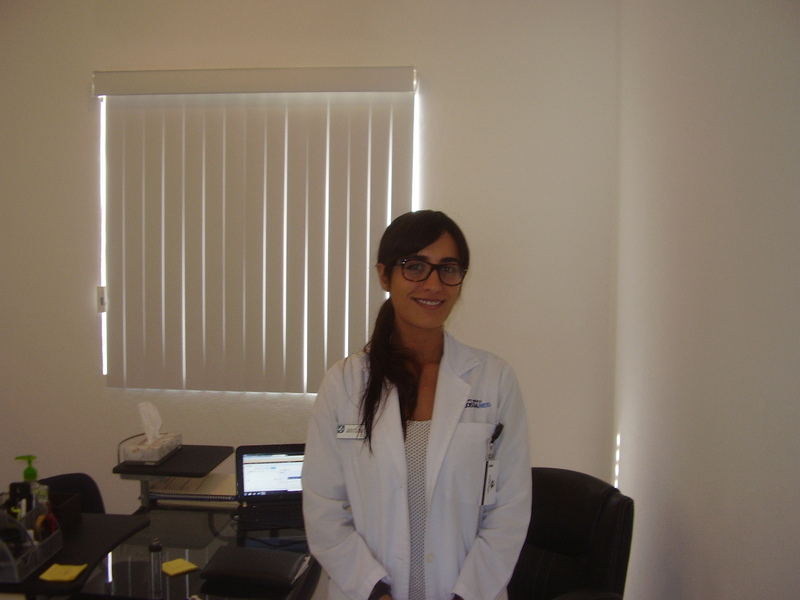 My doctor at CostaMed, Dr. Karla Velaquez. I did my reasearch last night, I found out that people with diagnosed diabetes in the USA, occur medical expenditures of about $13,700 usd per year on the average.. Metformin daily usage in the USA costs between $200-$500 usd on the average per month, not including other medications. And in the USA you have to see a doctor to get a prescription, here you don’t need that, a big savings. spends on the average more than $85,000 usd out-of-pocket expenses treating the disease and its complications over a lifetime. Lifetime costs for treating type 2 diabetes are slightly higher for women than men. So I decided to add up my out-of-pocket cost for my diabetes treatment in Mexico. My diabetes medications for the year cost me around $74.00 usd, or around 900 pesos a year. I do not have to have doctors appointments for my prescriptions, so I save that, and even if I did have to go see a doctor, it would only cost me around $3 usd, or 35 pesos. So if I add up all my costs for my type 2 diabetes treatment over the year, it costs me less than $100.00 usd. The way I figure it I am saving around $13,500 usd in medical expenses a year by living in Mexico. I don’t think I could live in the USA anymore being a diabetic, it would cost me too much. And yes, the prescription medications here are just as good as in the USA, and don’t let anybody else tell you differently. I have been taking generic Mexican medications for about 5 years now, and I have experienced no problems, and my glucose levels usually run between 70-125 when I am taking my meds and eating right. A lot of people, like me, have type 2 diabetes in the USA, and it is growing every year amongst the population, and medical expenses will continue to rise in the costs and treatment. So if you are thinking of retiring or living in Costa Maya or Mahahual, and you are a diabetic like me, you can rest assured, diabetes is a lot cheaper to treat here than in the USA. Reblogged this on Costa Maya Mahahual.